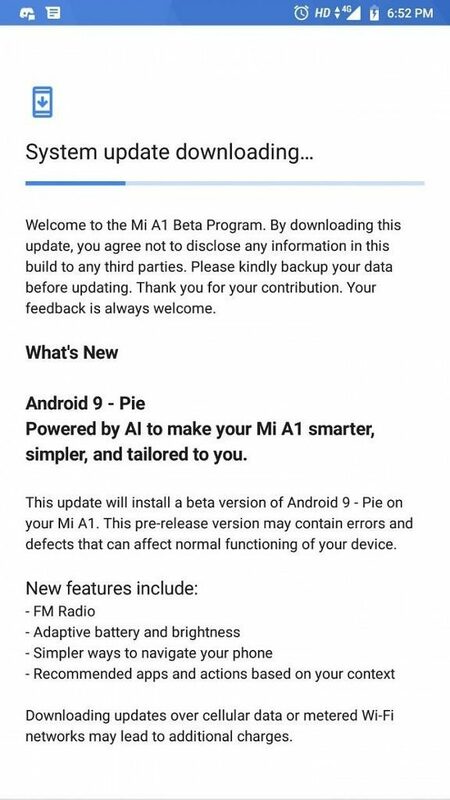 Good news for Xiaomi Mi A1 users, Xiaomi released the Android Pie beta for Mi A1 which is now available for beta testers in the Indian region. The update is a beta build and available as version PKQ1.180917.001.V10.0.2.0.PDHMIFK. The update brings Android Pie to Mi A1 and brings latest security patch. You need to follow the guide to Download Xiaomi Mi A1 Android 9.0 Pie Beta Update. The Android Pie for Mi A1 features a gesture-based navigation system, AI-enhanced improvements to the UI, Recent App Switcher, new Adaptive features (adaptive battery and brightness), and more. 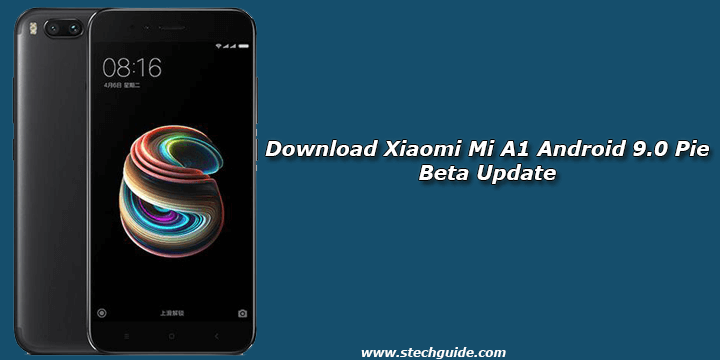 Download Xiaomi Mi A1 Android 9.0 Pie Beta Update from below to Update Xiaomi Mi A1 to Android Pie. To install Android Pie on Mi A1, your device must have rooted and TWRP Recovery installed on your device. If your device already has TWRP installed then Download Android 9 Pie for Xiaomi Mi A1 from below and install it manually. If you want to Install Android 9.0 Pie on Mi A1 without root then you have to wait for some more time. This method will work only on Xiaomi Mi A1. Download Pie 10.0.2.0 Flashable ROM from above and save it on your device. Make Sure your device bootloader is Unlocked. If the bootloader is locked then Unlock the bootloader first using fastboot oem unlock. Now Download the correct firmware from above and extract it to the ADB installation directory. Now go to adb and fastboot installation directory and open the command window there, by pressing and hold the ‘shift’ key and right-click anywhere in that folder. Now Reboot your phone into Bootloader mode. This is the easiest way to Download Xiaomi Mi A1 Android 9.0 Pie Beta Update and install it manually. Comment below if you have any doubts. Stay connected with us via Facebook, Twitter, and Google Plus to read more such helpful posts.